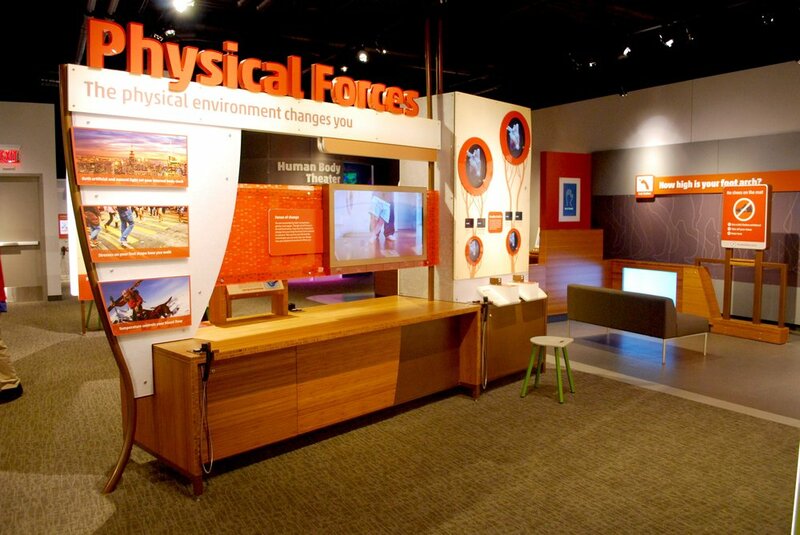 We designed graphics for the Hall of Human Life exhibit, a 10,000-square-foot permanent exhibition at the Museum of Science, Boston. 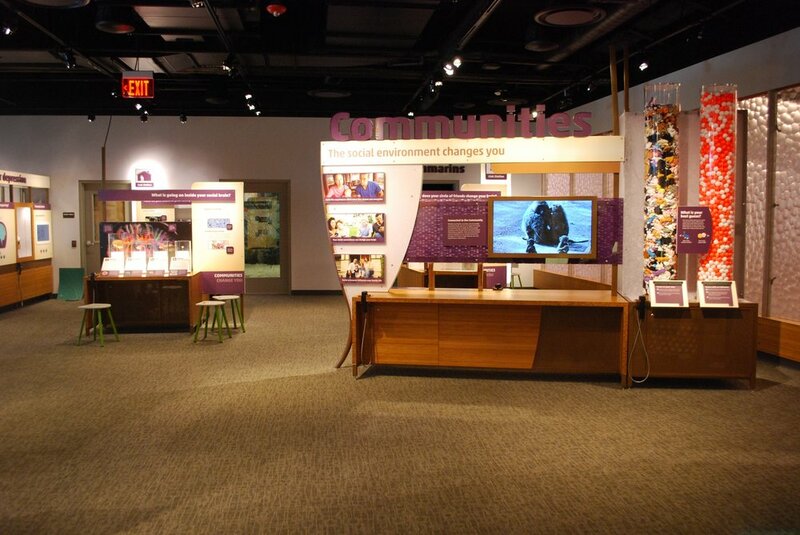 Along with the exhibit development team, we determined that the look and feel should be warm and inviting. Some of the content topics in the exhibit are very serious (including health conditions), so we took steps to avoid a look that was too sterile or medical. With that in mind, we picked colors that are friendly and natural, one color corresponding to each of the five areas of the exhibit. The typefaces were chosen for their approachability, but also their heft and bold presence. Human biology is a dense topic! By breaking up the text with images, and reinforcing content with illustrations the exhibition became more approachable. This featured is consistent thought the entirety of the exhibition so visitors get in a rhythm of knowing where to look for specific information. 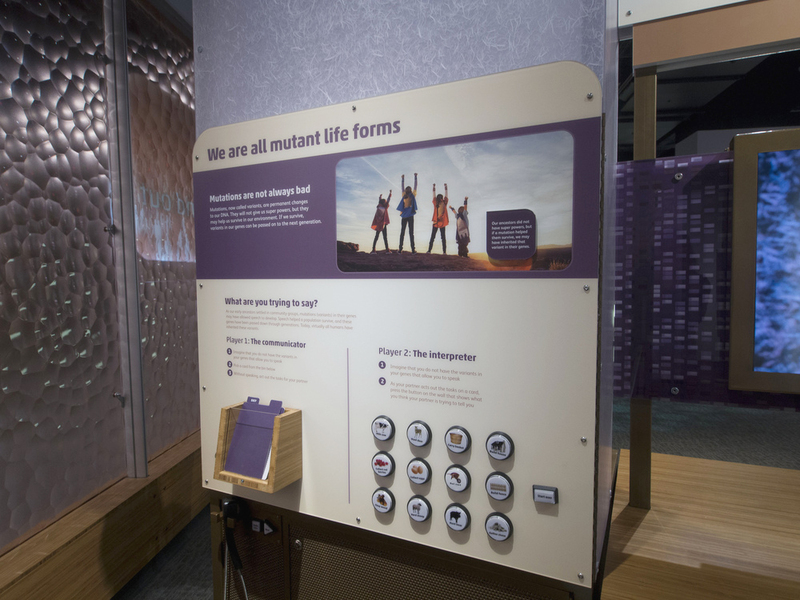 This evolution story focuses on antibiotic resistance, one the content areas of Hall of Human Life. 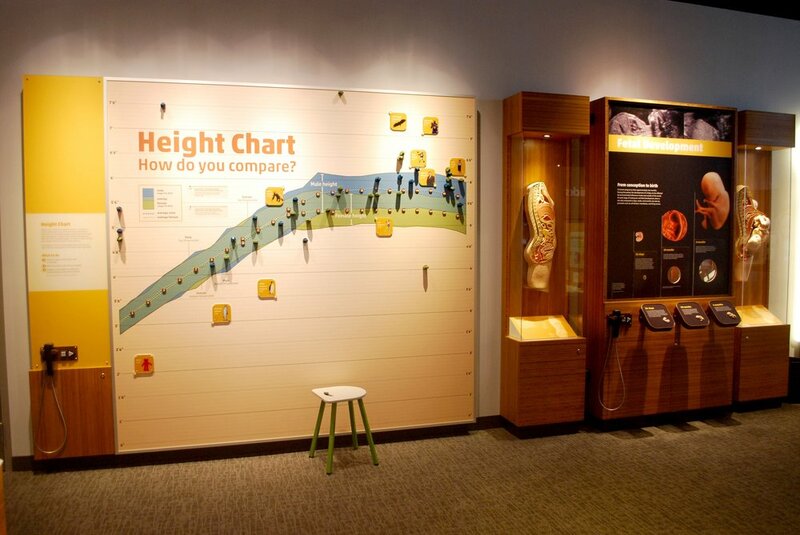 Distilling the complexities of human evolution into a quick hit graphic is not an easy task! Knowing that not everyone will want to read a large paragraph of text, we translated the content into this diagram. We made sure that the illustrations, at a glance, would communicate the basic story. We wanted to show that our ancestors are from all different eras and regions, and there's no one factor that impacts human evolution.